The Sniper fuel tanks are designed to meet or exceed the quality of your factory fuel tanks. Whether you have a track, street, or a car you're restoring, Sniper has the high-quality fuel tanks you're looking for. 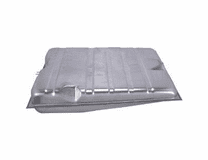 The steel tanks come with a galvanized finish and manufactured to the oem specifications for your musclecar, truck, or Jeep. These fuel tanks are also the perfect companion product when installing one of the Holley Muscle Car EFI modules or our Retrofit EFI Pump modules. Start your project with a fresh tank for your fuel system. 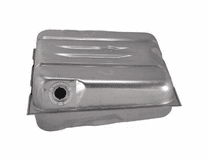 •The steel fuel tanks have a galvanized finish for corrosion protection and good looks. •Stock replacement fuel tanks are made to oem specifications for a great fit for your ride. •They are a perfect companion when using our Holley Musclecar EFI modules or our Retrofit EFI Pump modules.